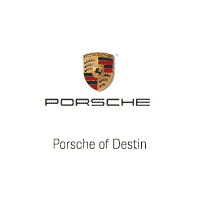 Porsche of Destin is part of the Gregg Orr Automotive family of dealerships serving Destin, Panama City, Niceville, Fort Walton and Gulf Coast. Every one of our specialists is anxious to showcase the knowledge and experience that continue to bring guests to our center from around the country. Our specialty is new and pre-owned Porsche models including recent trade-ins and off-lease models with exceedingly low miles, complete service histories and all books, keys, and records. All of our pre-owned vehicles include the Porsche-Factory-Backed Certified Pre-Owned Warranty featuring guaranteed OEM parts, special incentives and “peace of mind” complete coverage anywhere you drive in the USA. The service and parts staff of Porsche of Destin are committed to 100% customer satisfaction, proven by the recommendations and testimonials of our clients.